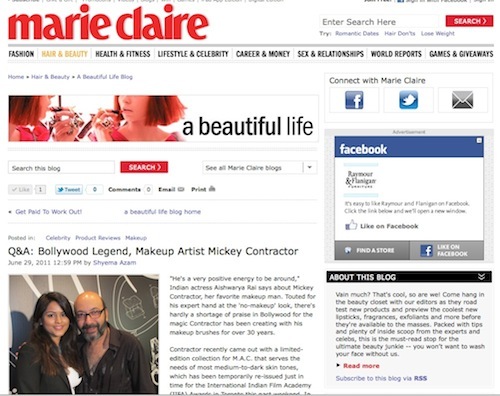 Check out Part 1 to my interview with M.A.C.’s Mickey Contractor, makeup artist to virtually all of Bollywood (Rani Mukherjee, Aishwarya Rai, Madhuri Dixit, Priyanka Chopra…the list goes on). This part is on marieclaire.com, but you will find the rest right here very soon! !